The former foreign minister, who has been in Syria on an official visit, also described the latest seizure of Eastern Ghouta near Damascus as a significant achievement for the “axis of resistance” – pointing out that the region lies in close proximity to the Golan Heights and accusing the United States and its regional allies of having supported “terrorists” in Eastern Ghouta. Velayati also justified the destruction and killings in Eastern Ghouta by pro-Assad forces, arguing that opposition forces were using civilians as human shields and hiding in tunnels built under schools and public places. “My presence there was to reinforce the diplomacy of resistance,” he said about his visit to the region. 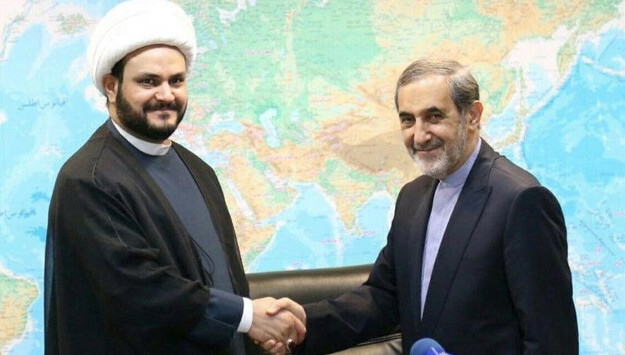 Velayati also discussed future war plans of the Syrian regime and Iranian-led forces in Syria. He said the next step is to capture Idlib Province and then move to eastern Syria to challenge American troops and its local allies. “God willing, the next step is Eastern Euphrates, and the Americans are too weak to remain in the east of the Euphrates. And they will certainly face defeat by this permanent, battle-tested resistance. There is no possibility for them to stay. That is why they consider air attacks. But I must say that the trajectory of war is determined on the ground, no in the skies,” he concluded. Comment: Velayati’s remarks came as the United States and its allies are contemplating targeted strikes against the regime of Bashar al-Assad in response to the latest chemical attack in Homs Governorate. The White House and Department of State today confirmed that the administration has proof that the attack was conducted by the Assad regime. US officials also added that they hold Russia and Iran responsible for the human tragedy in Syria. Soon after the attack, President Donald Trump said the administration planned to hit Syrian targets with “smart” missiles.